Bring Your Own Device has nearly permeated modern business culture, as remote and office-based workers use their own technology to conduct business. However, this can open you and your company up to a number of security risks, especially since these devices will be used beyond of the company walls for tasks that are personal and work-related. 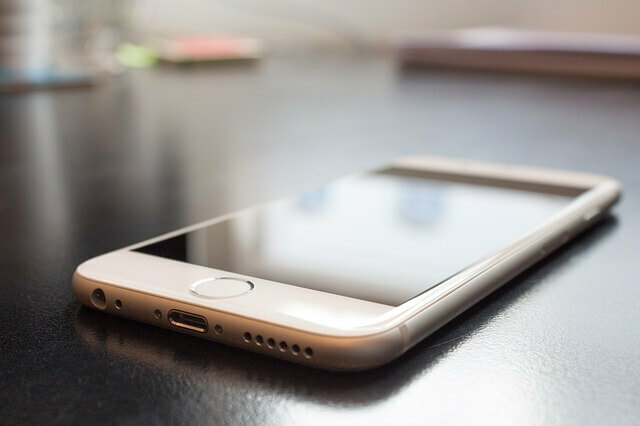 There are ways that IT departments and employees can be proactive about protecting sensitive data while using a BYOD approach for iPhones. This is the first line of defense your phone has when it falls into someone else’s hands. You might have left your iPhone in a taxi or maybe it was stolen. While this can be a tragedy due to the expense of the phone itself, it can be even worse if you haven’t secured the important work data stored on it, like contacts, email accounts, notes, and even passwords. If you haven’t set a passcode yet, do it now by jumping into the Settings menu and selecting “Passcode.” Pro tip: you can make your phone even more secure by turning off “Simple Passcode,” which allows you to create a custom password that includes letters, numbers, and special characters. If you plan to manage work social media from your personal iPhone, you might not want to use your personal social media accounts from this device. You might accidentally post to the wrong account, which can be disastrous for your public relations rep. If you still want to use your iPhone for social media, then consider separating work accounts from personal accounts by using completely different social media apps. For example, Buffer could be used solely for work, while the official Twitter apps can be used for personal reasons. This can be a lifesaver for companies that rely on BYOD tech. Apple’s Find my iPhone services is included with a free iCloud membership. If your iPhone is lost in a public place, you can log onto the iCloud website to track the phone, remotely lock it, and even erase all data. The last two options are ideal if you are worried about strangers poking their noses into your information, such as work documents, patient health information, or personal emails. Just imagine your IT department’s sigh of relief when you tell them that a lost phone has been wiped clean of data. IPhones used for both personal and business reasons can introduce many security concerns. You can protect data by setting passcodes and enabling device trackers. These efforts can pay off in the long run, protecting your data from digital thieves. Why should companies choose a CMMS mobile application?